Professor Otto A. Smiseth, MD, PhD is the leader and founder of the group Integrated CardioVascular Function. The group is located at Rikshospitalet, Oslo University Hospital, Oslo, Norway. The main objective is to study mechanisms of cardiovascular function and disease through experimental and clinical studies. 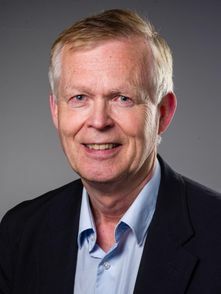 The group is a major collaborator at Center for Cardiological Innovation, where Prof. Smiseth is also the leader of the workpackage focusing on work efficienfy and diastolic function. The Integrated Cardiovascular Function Group studies cardiac mechanics in experimental models and in patients. The general objective is to gain new insights into mechanisms of cardiovascular disease and to develop new imaging modalities which quantify disease processes and cardiac function. The idea is to develop better diagnostic understanding and solutions and to translate these into improved clinical practice. The research group is a part of Institute for Surgical Research and the Department of Cardiology, Rikshospitalet, Oslo University Hospital. The group participates in the Center for Cardiological Innovation (CCI) which focuses on improving diagnostic methods for patients with heart failure and patients at risk of sudden cardiac death. To investigate mechanisms of left ventricular (LV) dyssynchrony and develop better methods for selecting patients for CRT. To investigate mechanisms of LV diastolic dysfunction and to develop better diagnostic methods of diastolic heart failure. To investigate right ventricular function in patients congenital abnormalities which involve the right ventricle.